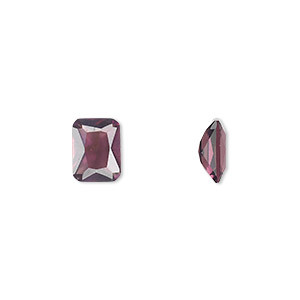 Gem, cubic zirconia, alexandrite purple, 5x3mm faceted emerald-cut, Mohs hardness 8-1/2. Sold per pkg of 5. Item Number: H20-1014YX Have a question about this item? 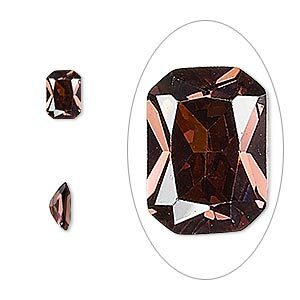 The color of these faceted emerald-cut imitation gemstones are designated by the natural stone they imitate. Color may vary. 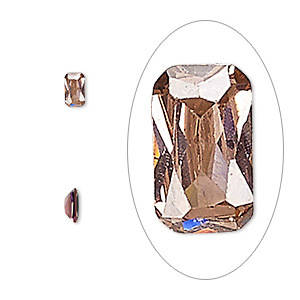 Gem, cubic zirconia, alexandrite purple, 8x6mm faceted emerald-cut, Mohs hardness 8-1/2. Sold per pkg of 2. Gem, cubic zirconia, alexandrite purple, 10x8mm faceted emerald-cut, Mohs hardness 8-1/2. Sold individually. 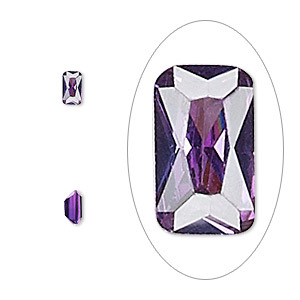 Gem, cubic zirconia, alexandrite purple, 6x4mm faceted emerald-cut, Mohs hardness 8-1/2. Sold per pkg of 2. 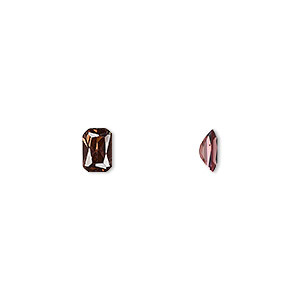 Gem, cubic zirconia, alexandrite purple, 7x5mm faceted emerald-cut, Mohs hardness 8-1/2. Sold per pkg of 2. Gem, cubic zirconia, alexandrite purple, 5x3mm faceted oval, Mohs hardness 8-1/2. Sold per pkg of 5. Gem, cubic zirconia, amethyst purple, 5x3mm faceted emerald-cut, Mohs hardness 8-1/2. Sold per pkg of 5. 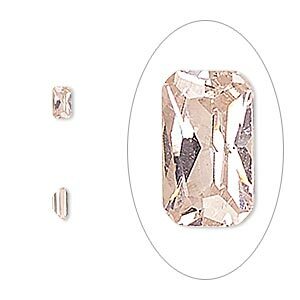 Gem, cubic zirconia, sapphire rose, 5x3mm faceted emerald-cut, Mohs hardness 8-1/2. Sold per pkg of 5. 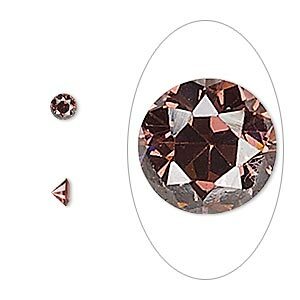 Gem, cubic zirconia, alexandrite purple, 3mm faceted round, Mohs hardness 8-1/2. Sold per pkg of 5. 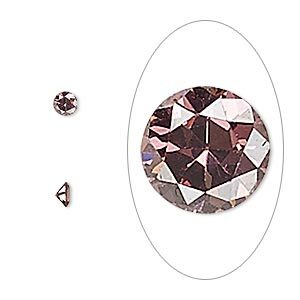 Gem, cubic zirconia, alexandrite purple, 4mm faceted round, Mohs hardness 8-1/2. Sold per pkg of 5. 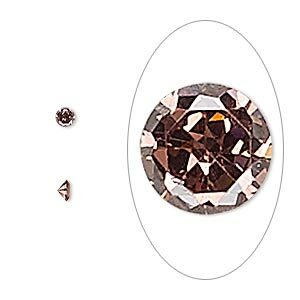 Gem, cubic zirconia, alexandrite purple, 3.5mm faceted round, Mohs hardness 8-1/2. Sold per pkg of 5.